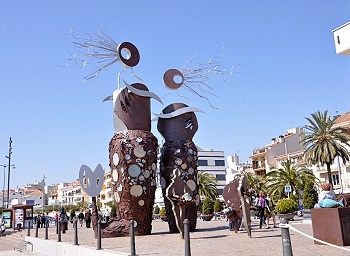 Nerve space in front of the Tower of Port, in the heart of the Port of Cambrils, also called "Royal Stairs." 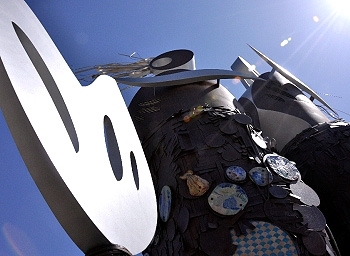 A place where traditionally performed numerous meetings, events and social events and holidays. 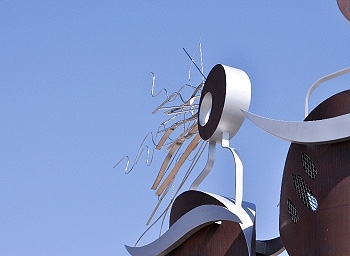 In 2011 was inaugurated the sculpture by renowned artist David Callau Gené entitled "En el pla de les Serenes". 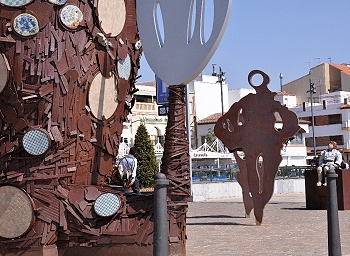 Sculpture made ​​in corten steel, ceramic and stainless steel memorial to commemorate the centenary of the misfortunes of the Year (1911-2011) in which many of the Catalan coast fishermen, many of them of Cambrils, died. 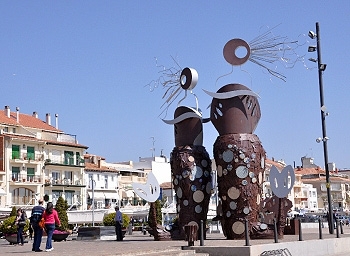 EN EL PLA DE LES SERENES . 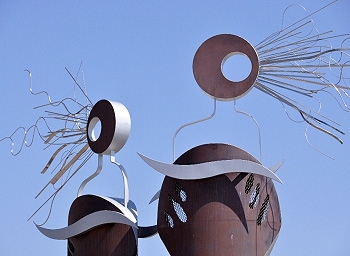 Sculpture consists of three fishermen who represent souls. In his hands he carried two baskets of fish to sell, as was done previously. 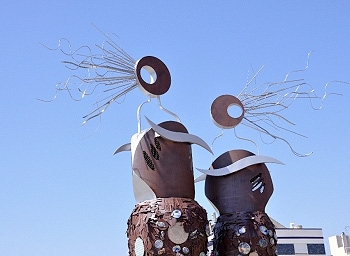 Two majestic heights sirens symbolize the prosperity and the storm, The Dolça and Calma of the sea. 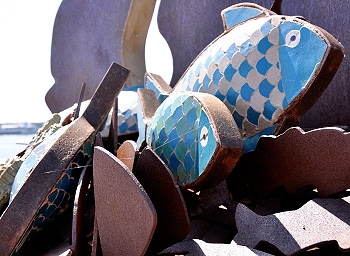 Mythological metaphors also of the elements: The sun and moon, determining when to go fishing. 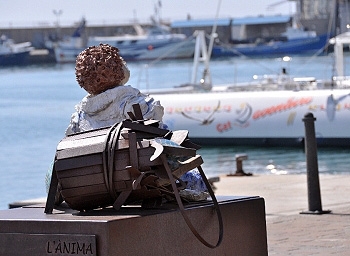 Little Adrian is the symbol of the present and future, the touch of color and tenderness. Childhood and innocence observing the scene from a level of serenity.